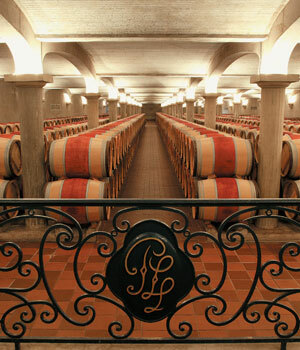 Pichon Lalande is one of Bordeaux's most famous properties and certainly one of our favourite châteaux. The wine ages superbly well but, due to the high proportion of Merlot, is also soft, fleshy, and supple in its youth. Referred to by Robert Parker as "One of Pauillac's most consistently brilliant wines", this 'Super Second' château continues to be a drinker's favourite year, in year out. Nonetheless; high scores and favourable release prices also mean this great château has consistently proved profitable for those interested in a canny investment. Owned by by the Roederer Champagne firm, who hired Hubert de Bouard of Ch Angelus to consult, the 2006 was their first vintage and is an absolute beauty; Parker compares it to the 1996 which is a stunning wine.